Our pets are members of our families, and as such, distinct roles and attachments are created, no differently than with human family members and often much closer. Our bond with our pets has a purity not found in our human relationships. Our pets don't judge us nor do they hold grudges against us. They pursue us and want to be with us and give us a sense of purpose as they innocently depend on us to provide for their needs. ​It is important, however painful, to allow yourself to experience over time, the full range of emotions that accompany the loss of your dear pet for as long as it takes you to work through your loss. Pet loss support is a safe and caring place for you to do this healing grief work, individually or in the Beyond Words Grief Group which is held on demand. ﻿The nature of the b﻿ond or attachment we form with our pets differs per person but for many the power of that bond is realized when they mourn the loss of their beloved companion animal. 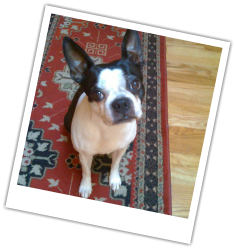 ﻿Beyond Words ﻿Pet Loss Group, offered on demand, is a 5 week therapeutic grief processing group. This group utilizes the power of hands on activities, like collaging, to help manifest and externalize difficult emotions in the grief process. It can be an amazingly healing process especially for those who feel blocked in their grieving process. No art or craft experience required or expected. This hand-out is a navigation guide through the general process of grief symptoms applied specifically to the loss of a pet. The guide is designed as a starting place for validation of your loss and education regarding pet loss grief, as well as, a facilitation of the grief process and what you may be experiencing now and in the future as you cope with your loss. It is shared out of my own personal experience of pet loss and developed after research yielded no grief model specific to pets. It is interwoven with a variety of concepts from human models of grief that have been adapted to address the unique needs of grieving pet owners. It is dedicated to the life and memory of Bosco & Moochie. 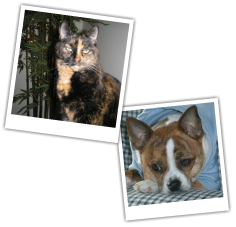 Pet loss support counseling seeks to validate and normalize the unique significance and profound meaning our pets bring to our lives and to help you process your grief in a safe and understanding environment. We are changed by it. 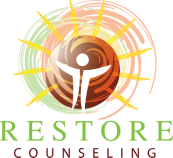 Restore Counseling offers individual counseling and group counseling for pet loss grief. Please feel free to contact Sue Mocniak for information about scheduling. I am here to help. Sit with them - let them cry- tears are healing. Call to let them know you are thinking of them- they will appreciate it. "Are you going to get another one?" "Well, he's in a better place now." "It's just a dog, cat..." "You can come pet my dog, cat..." "Are you still not over that?" "God needed another angel." "He / she was old and ready to die anyway." "You are overreacting." "You need to be strong."